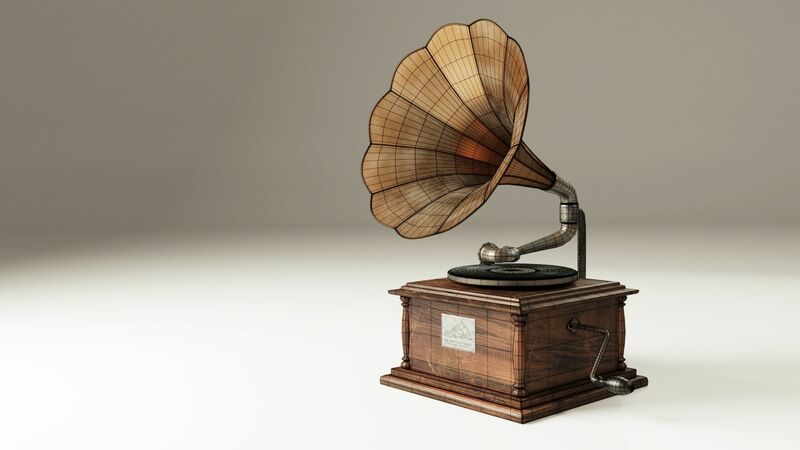 The gramophone is a record player that you’ve probably seen – the one with the horn on the side. Even if you’ve never seen one up close and personal, you know exactly what it is. 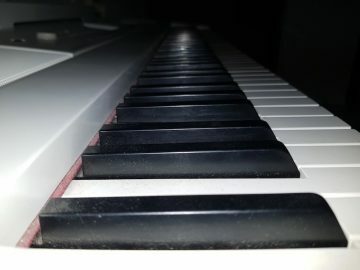 They were the first devices invented to play back music and other forms of sound. Before we jump into the history, here’s a quick video showing a gramophone that is still functional playing an old record, so you get the idea, even if you have no idea what I’m rattling on about up until now. 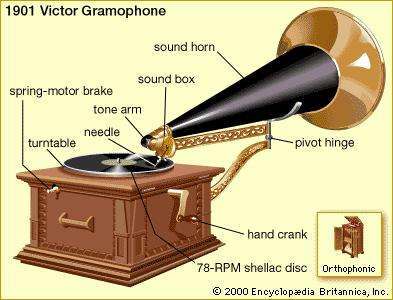 The gramophone, or phonograph, is a device that records and plays sound. While we’ll be touching on the exact nature of the gramophone, it makes sense for us to talk about the disc phonograph record, which is a vinyl record as we know it today. These two concepts go hand in hand. The waveforms of sound were impressed onto a wax cylinder when inventors were first experimenting with the device. The device was handcranked and produced a sound that wasn’t suitable for listening at all. It was awkward and cringe-inducing. Musicians would find that they had to record music continuously because the wax cylinder couldn’t hold the tone. The cylinders used were very bulky, too. 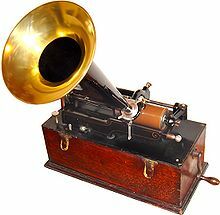 As it was improved upon, the gramophone would record and play sound on discs made of tin and, finally, other materials. It wasn’t until the gramophone used flat disks that it became more popular and successful. The disks brought the gramophone to life around 1892. They measured between 5 and 10 inches at that time. It was in 1908 or so that it was possible to record on both sides of the disk. The turntable itself is made of a round steel or aluminum piece that is turned with a rubber belt. The turntable and spindle work together to spin the record for playing. The turntable keeps the disk in place while turning, too. This is the needle that plays the record or disk. It reads the music or sound for the listener. Early models would have a sapphire or diamond as the playback device. The early 1900s brought about copper and steel options instead. The horn of a gramophone is the iconic look that most people understand when you say gramophone or phonograph. It was the part of the device that allowed for playback to be heard. To alter the volume of the sound emitting from the horn, they would use a muffling ball in the opening of the horn. In 1877, Thomas Edison came up with the concept of a device that would play back sound. He used a tinfoil design that could only play a recording one time. Edison’s phonograph was pretty much a bust when Alexander Graham Bell created a graphophone. Here is a video showing a graphophone in action, so you can distinguish between a graphophone and a gramophone, as they are not the same thing. The one in this video happens to be a 1896 American Graphophone Phonograph Washington Type A.
Unfortunately,Alexander Graham Bell came up with the wax cylinder that didn’t quite work. Each cylinder had to be recorded separately, which meant hours and hours for one cylinder. Finally, Emile Berliner created the design we’re familiar with today. He applied for a patent in 1887, which was 10 years after Edison tried and failed at the same type of play back system. Berliner stopped trying to stick with the cylinder idea. That’s when it started to see success. He used flat disks. They were made of glass at first. 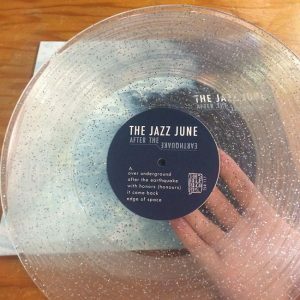 Here’s a newer record, made of glass. Back then, the sound information was etched into the disk and played back with the stylus through the arm of the gramophone. The needle would transmit the vibrations to the horn, which would bring sound to the listener. Berliner was the first to create a mold of a disk, which could be mass produced for a wide audience. Each mold would allow for hundreds of disk pressings. 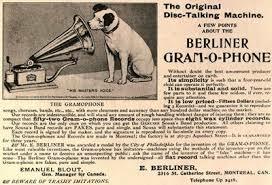 Berliner started the company to produce the gramophone he’d created as well as the disks to be played on the device. He had to persuade musicians to create music for his disks. The company took on a painting by Francis Barraud as its trademark. It’s one that most people are still familiar with today (the picture with the dog looking into the horn). He sold patent rights to the gramophone as well as how to make records to RCA, The Victor Talking Machine Company. They were the ones to bring the product to the US. In the days when the gramophone was first patented, the listener had to hand crank the device. It would wind up the spring that would play out the record. It would play at an uneven speed based on the amount of tension in the gramophone. Berliner and Elridge Johnson worked on a motor for the spring that would allow playback without having to crank. Without the cranking, the playback of records was even and smooth. Johnson had created a motor that would keep up a speed of 70 rotations per minute. From the gramophone, other recording and playback devices evolved. Record players became more advanced. The horn was replaced with speakers inside the device. 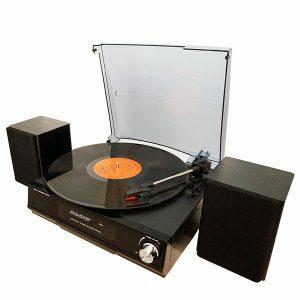 Today, we have turntables and records for those who want to still hear vinyl records. These diehard record lovers are often called audiophiles. 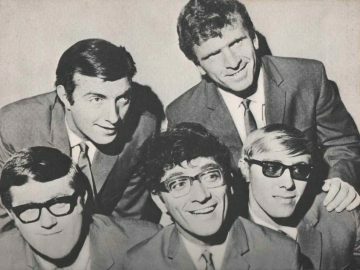 They’d rather hear a vinyl record from their favorite singers and musicians than digital reproductions. 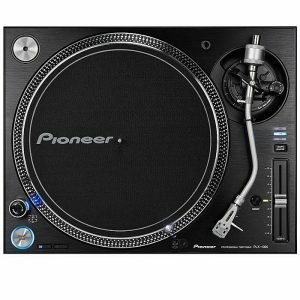 There are also turntables used by DJs to create music mixes, but even most of those are done on digital turntables with digital recordings. All of the current turntables and record players exist because of the invention of the original gramophone.